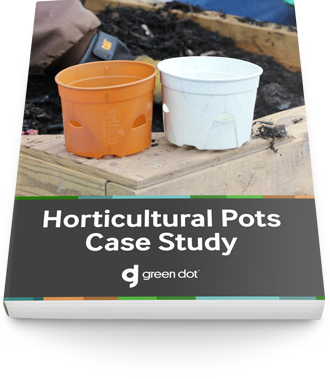 A case study on how Green Dot Bioplastics developed a horticultural pot that could biodegrade once planted. SelfEco, LLC is a manufacturer of Earth-friendly gardening and catering products in Minnesota’s Twin Cities. SelfEco approached Green Dot Bioplastics to develop a horticultural pot to add to their current gardening line that could compost once planted, and not be placed in a landfill. Their current line only offered horticultural pots with nutrients and they wished to have a similar one without nutrients for third and fourth generation growers.